Discussion in 'UFC Discussion' started by doozer, Apr 15, 2019. I mean if McGragor can still reasonably make the cut and if things don't get out of hand for him legally. And of course he has to accept it. But this is the time. Conor is for the first time feeling beatable at lightweight, he can still tell himself he is the best at featherweight, and he can use that confidence to get back into his groove. They are both coming off a loss. Max would love the money, the chance to avenge his loss, and to get the victory over the belt holder who never lot the belt. And I would love to see it. Texas, Fedor>Cain, GiSP and 4 others like this. Moro, Michael Osh, Reach4theSky and 1 other person like this. Skeletor McGregor is gone brah. Moro, Fedor>Cain, Michael Osh and 1 other person like this. Would love to see the rematch but not sure if Conor is up for it. Seeing how Holloway lost, yeah, no way he wants Poirier's "Sloppy seconds"
Had Max one, Conor would entertain the fight, now he has no incentive too. If they were to fight again it will be at LW only. Conor is done at 145. Just a rubbish idea. McGregor isn’t a fighter these days, and is NEVER making FW legally. chick magnet punk, Rex Kwon Do and Michael Osh like this. I wish 145 McGregor could come back, but I'm resigned to the fact that he is gone forever. Connor cant make that weight, but it would be a smart fight for him if he could. Another crack at gold against a guy freash off a loss. 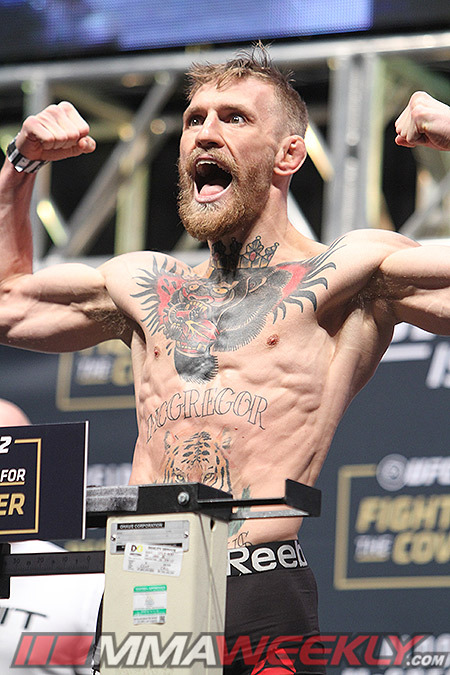 Gtfoh suggesting Conor ever makes 145 again. Poirier took Max's soul. Mark my words - he will never be the same after that loss. Even Max admitted he had a full training camp with no injury and expected to win. He is done.